Robbery is the taking of property from another against their will by means of force or fear. This force may involve a deadly weapon such as a gun or other weapon (Armed Robbery), or it may just involve simple physical force (Strong Arm Robbery). In Michigan, you can spend up to life in prison for robbery while armed. Even if you were present when your buddy committed the armed robbery, you may get the very same penalty. "Up to life" in prison means the maximum is life, but that doesn't mean you'll always get life. If an aggravated assault or serious injury occurred during the commission of this offense, the prison sentence cannot be less than 2 years on the minimum prison sentence. •The defendant took the property with the intention of permanently depriving the owner of its use. 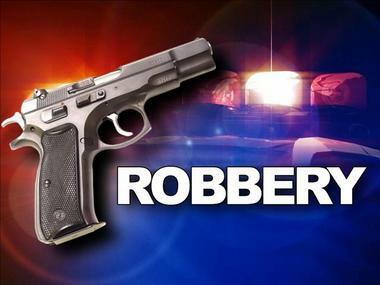 Our Michigan Criminal Defense Lawyers can help if you are charged with robbery in Michigan. 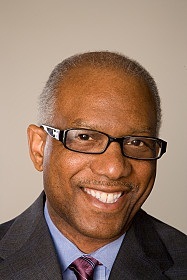 Robbery cases sometimes present special challenges to prosecutors. Most robberies happen after dark. If there are witnesses, they may be unclear as to what they have seen. Surveillance camera evidence is often grainy and unclear. In addition, Robbery crime scenes usually are not secured with the same degree of care compared to homicide investigations. As a result, important evidence could be mishandled. Many people do not know the differences between the conduct that constitutes robbery, theft, and burglary. These crimes all seem to be some form of stealing. Robbery is simply a knowing theft plus violence or fear. Under Michigan law, robbery is the intentional or knowing theft of property from the person of another by violence or putting the person in fear. "Intentional" refers to a person who acts intentionally with respect to the nature of the conduct or to a result of the conduct when it is the person's conscious objective or desire to engage in the conduct or cause the result. "Knowing" refers to a person who acts knowingly with respect to the conduct or to circumstances surrounding the conduct when the person is aware of the nature of the conduct or that the circumstances exist. A person acts knowingly with respect to a result of the person's conduct when the person is aware that the conduct is reasonably certain to cause the result. -Store or bank robberies where someone displays or mentions a weapon. In Michigan, you do not have to actually have a weapon to be charged with armed robbery. All you have to do is mention that you have a weapon, whether you actually have one or not. An experienced and skillful criminal defense attorney may also seek to suppress evidence that a weapon was involved in the alleged crime. The police must follow certain procedures under state and federal law when they conduct a search for a weapon. If the police failed to abide by those procedures, a motion to suppress evidence of a weapon could be successful. That, in turn, may force the state to reduce the charge to unarmed robbery or larceny from a person -- or the state may be forced to dismiss the charges altogether. Discovery motions are also critical for the defense of armed robbery cases. Early on, it is important to preserve evidence that might be lost, such as tapes from surveillance cameras. An experienced attorney realizes that the preserving evidence can make the difference between winning or losing a case. We represent clients in Detroit, Southfield, Pontiac, Troy, Warren, Grand Rapids, Muskegon, Lansing, East Lansing, Battle Creek, Kalamazoo, Bloomfield Hills, West Bloomfield, Farmington Hills, Rochester, Auburn Hills, Clarkston, Birmingham, Ferndale, Flint, Novi, Pontiac, Troy, Saginaw, Sterling Heights, Waterford, Wayne, Dearborn, Westland, Canton, Monroe, Ann Arbor, Mount Clemens, Livonia, Grayling, Grosse Pointe, St. Clair Shores, Brighton, Adrian, Allen Park, Clinton, Hamtramck, Northville, Garden City, Southgate, Harrison, Holland, Inkster, Allen Park, Belleville, Jackson, Madison Heights, Mount Pleasant, Oak Park, Okemos, Plymouth, Redford, Roseville, Romulus, Taylor, Wyandotte, Wyoming, Traverse City, Ypsilanti, Bad Axe, Northern Michigan, as well as residents of Wayne County, Kent County, Oakland County, Macomb County, Washtenaw County, Genesee County, Huron County, St. Clair County, Monroe County, Ingham County, Saginaw County, Livingston County, Lenawee County and all other Michigan counties. Have you been accused of robbery? Are you currently under investigation for this offense? Robbery is a serious crime that is a felony in Michigan. It is a life offense crime. Call our criminal defense team for affordable help. 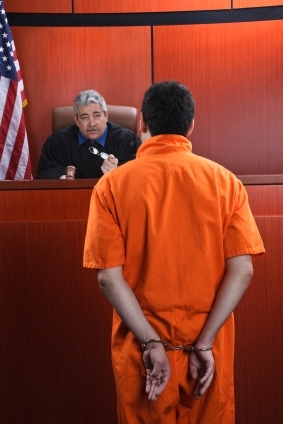 Our criminal defense lawyers know that going to jail or prison is a very grave matter. It is the prosecution's responsibility to prove their case. 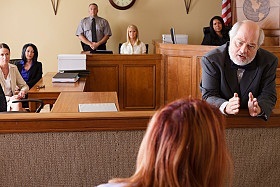 Often prosecution witnesses identify the incorrect person in photos or in a line-up. If this occurs, we will aggressively argue to suppress such "evidence'', and do the same with fingerprint analysis, knowing that such human analysis may be faulty. We will use our expertise and that of our experienced legal team to raise doubts in the jury's mind and protect your freedom. Armed Robbery in state of Michigan is a life maximum offense, that carries a mandatory prison sentence. If an aggravated assault or serious injury occurred during the commission of robbery, the prison sentence cannot be less than 2 years on the minimum prison sentence. Contact our law firm immediately so we can assist you in making the most informed decision at 1- 866-797-6644. Pleading guilty may be the fastest way of putting your case behind you, but may not be in your best interest. Do not let someone force you to take a plea bargain, without a complete defense investigation, and a critical examination of the prosecutor’s evidence. We promise to fight for you, and get you the best possible outcome in court.